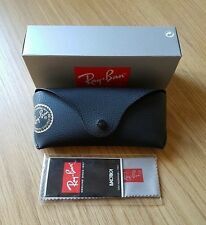 Fits Nearly all types of Ray Bans. 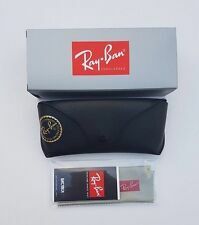 Glasses Cloth & Box Included. Length 15.5cm. BRAND NEW OAKLEY SUNGLASSES CASE with DUST BAG and cleaning cloth. 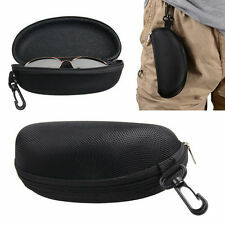 Six black zipped glasses / sunglasses case. black outer with black inner. 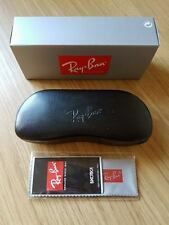 Ray Ban black Hard Case For Sunglasses & Eyeglasses. WITH CLEANING CLOTH. Easy to open and close. Faux leather. VALENTINO SUNGLASSES CASE IVORY ITALY . FABULOUS STYLISH CASE . MAGNETIC CLOSING . 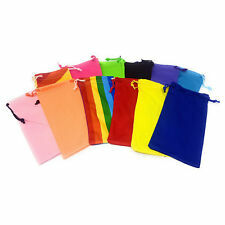 WITH GIFT BOX AND SEALED MICROFIBER CLOTH. 100% BRAND NEW STOCK . Has a belt loop which will fit a belt with a maximum width of 28mm - so may be attached to your trousers or skirt. 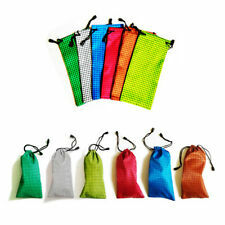 Has a double button front fastening pocket for loose change, cloth cleaner etc. 5 3/4” Long X 2 1/2” Wide X 2 1/2” High/Deep - Should Fit Pretty Much all Sunglasses. Gloss Black Finish with a Black Microfiber Cleaning Cloth. 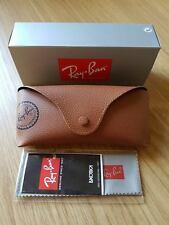 ---This dark brown leather glasses case is made from genuine & authentic 'Top Leather', a superior cut of leather which smells fantastic and feels great in the hand. Leather is a natural product and each top leather pencil and glasses case has soft and subtly different grain texture and patterning. Yours will be unique. ---The pencil and glasses case measures 19 * 6 * 5 cm (7 * 2.5 * 2 inches). ---A slim case that can be used to store and protect narrow and medium framed glasses. Alternatively, use this soft case to store pens and pencils, a small selection of art supplies or fountain pens. 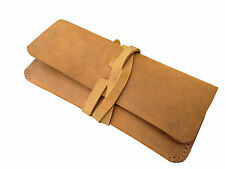 Customers have also rated this case for storing small wood carving tools, makeup brushes and eyebrow pencils. ---The unique 'S' shaped zipper design makes it easy to access the contents of the case without having to search out your item. BLACK LEATHERETTE BACK. LIGHTLY PADDED, DIAMOND EFFECT QUILTING ON THE FRONT. Handmade Fabric Glasses / Sunglasses Case / Pouch - Orla Kiely Tomato Linear Stem. The fabric used for the outside of the case is Orla Kiely Tomato Linear Stem and it has been lined with a co-ordinating plain cream cotton fabric. WITH CLEANING CLOTH, BOOK And Gift Box. Sunglass Case. You will receive what you see in the picture. Illustrated with our popular guinea pig design, this hinged glasses case with a hard shell has a soft feel and will keep sunglasses and specs safe and secure. The inside of the case is illustrated and comes complete with it's own matching cleaning cloth. 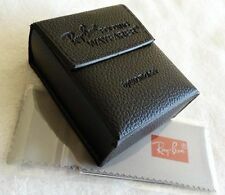 The case measures 16 cm x 6.5 x 4.5cm. Available in Leopard print gold and black. 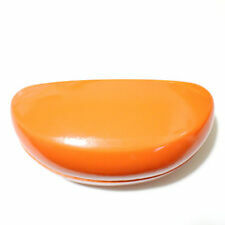 TOM DAVIES GLASSES CASE . STANDARD SIZE MEASURES 155 mm x 55 mm x 33 mm high YOU WILL RECEIVE BOTH CASES. Marke: Santoro. 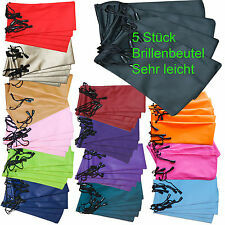 Jede Tasche wird individuell von Hand gefertigt und kann sich deshalb leicht in Farbe und Detail unterscheiden. Motiv: Rosie. Deutschland Kostenlos. Möbel & Wohnen. Haus & Garten. Büro und Schule. Keep your glasses and sunglasses protected in style with this zippered case. It features a hard protective outer layer with felt lining on the inside and a strap for attaching the case to your belt. It fits most sunglasses, including aviators. Measures 62 mm tall and 154 mm wide on the outside of the case. The measurements inside are 150 mm wide. HAND MADE GLASSES POUCH. TARTAN FABRIC FRONT AND BLACK LEATHERETTE BACK. LIGHTLY PADDED, DIAMOND EFFECT QUILTING ON THE FRONT, LINED WITH BLACK FELT AND ZIP CLOSING. HAND MADE GLASSES POUCH. BLACK / PINK STRAWBERRY PATTERN COTTON FRONT AND BLACK LEATHERETTE BACK. LIGHTLY PADDED, DIAMOND EFFECT QUILTING ON THE FRONT, LINED WITH BLACK FELT AND ZIP CLOSING. TYPE: Sunglasses Case. COLOR: Black Leather. Brand New Celine Sunglasses/Eyeglass Case/ Pouch, Latest model.